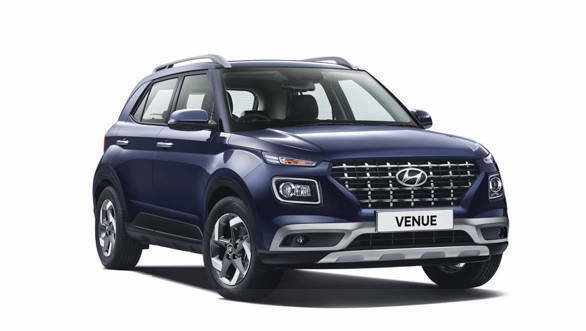 Hyundai Motor India today unveiled its contender in competitive sub-four compact SUV space, the Hyundai Venue, ahead of its India launch on May 21. 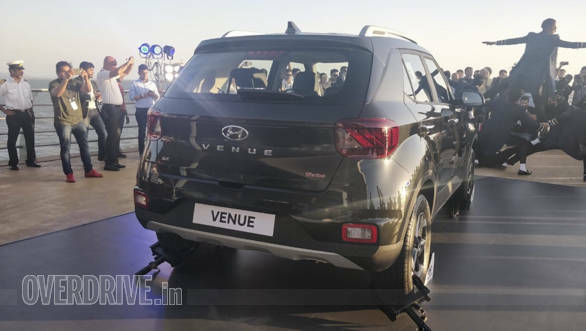 In a measure of how important this car is for the carmaker, the Venue's India debut is happen concurrently with its global unveiling at the 2019 New York Auto Show. The Venue's various design takes inspiration from the brand's other SUVs like the Kona and Santa Fe. It gets at large honeycomb grille, split headlamps, and a general squared-off look. Further the stocky, short wheelbase look has been highlighted. The production-spec car has subtle cuts and creases along the body and end with quite a minmalist accentuated with the small squarish tail-lamps. 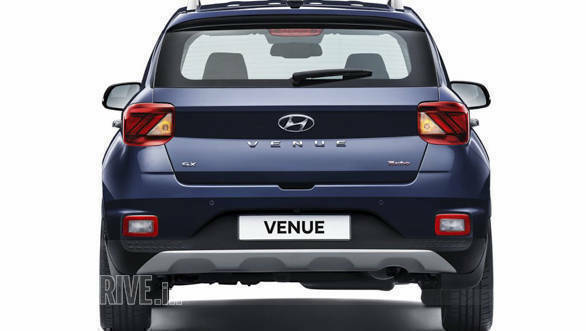 Dimensionally, the Hyundai venue will be 3,995 mm long, 1,770mm wide and 1,590mm tall. Wheelbase is 2,500mm. Top-spec cars get a 215/60 R16. The interiors of the Venue see a few bits previously unseen on Hyundais here. 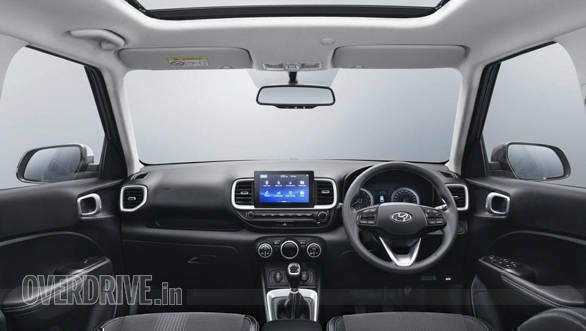 While the steering wheel and instrumentation seem like the regular Hyundai high quality fare, unique is the new centre console arrangement. New here is the layout of the infotainment and the climate control knobs with integrated displays. The colour patterns and overall theme remind us of the Creta and other Hyundai products. The other petrol motor, for lower-spec cars, will be the 1.2 litre petrol as seen on various Hyundai cars in India. The four cylinder motor is available on cars like the Grand i10 and India-spec Elite i20 and makes 83PS and 116 Nm. Only a five-speed manual gearbox will be paired with this. The single diesel option will be the 1.4 litre four cylinder turbo diesel motor which puts out 90PS and 220 Nm. 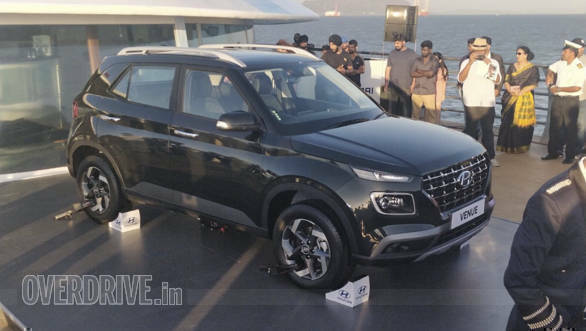 This motor is already available on the Verna and Creta, and like in those cars will be available with a six-speed manual. No auto option is expected, possibly to keep costs in check. 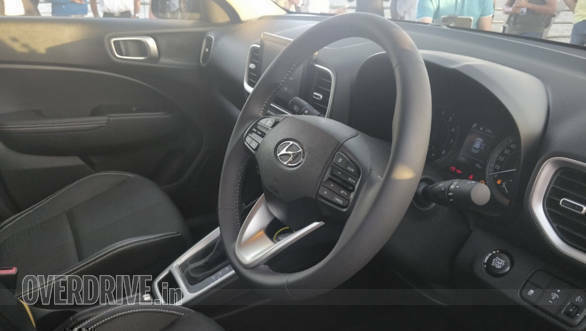 In terms of safety, the Venue will have upto six Airbags, speed sensing auto door lock, ABS, ESC/ESP, hill assist, brake assist and ISOFIX seats. Hyundai will offer the Venue with a three year/unlimited kms warranty pacakge and three years of roadside assiatance.